BAAHUBALI 2 SETS A 'BAAHUBALIAN' BENCHMARK IN CHENNAI! One of the rarest sights these days is to witness a film retain the first position at the box-office even after its 4th weekend. It is most definitely a 'Baahubalian' task. Yes, Baahubali: The Conclusion has managed to do this. The film stands on top of the table and still promises to show potential to do even better. Another interesting feat has been achieved by the movie, at the end of its 4th weekend. 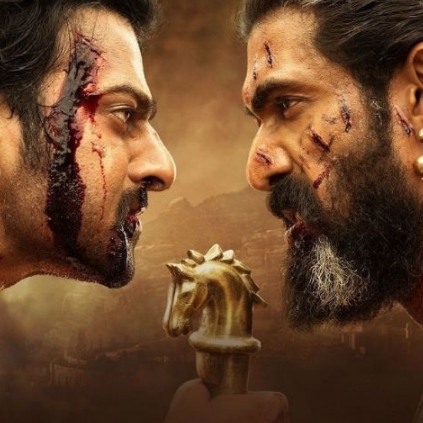 Baahubali 2 is officially the first film to surpass the 15 crore mark in the Chennai city box-office at the BW Box Office report. It has collected Rs. 15,55,95,219 as of now and it has also comfortably transcended the 1500 crore collection overall. Initially, the expectations for the quality of the film was sky-high, and now the basis of hope has shifted to the box-office collection. A total of 2000 crores worldwide appears to be very much in sight for the team, and we wish them the very best for it! Guess who invited Shruti Haasan as a special guest at the Cannes? AR Rahman finally watches Baahubali 2! Guess what he feels about it? Just in: Vishal calls off the strike! A surprise move by the Sangamithra team at Cannes! Sivakarthikeyan finishes a challenging task! August it is for Ajith! People looking for online information on Anushka Shetty, Baahubali 2, Prabhas, Ramya Krishna, Rana Daggubati, SS Rajamouli, Tamannaah Bhatia will find this news story useful.